Seattle open houses | Open houses Seattle today. List of ALL upcoming Seattle open houses. Here's a complete list of ALL the upcoming open houses for Seattle houses, townhomes and condos. All in one place! 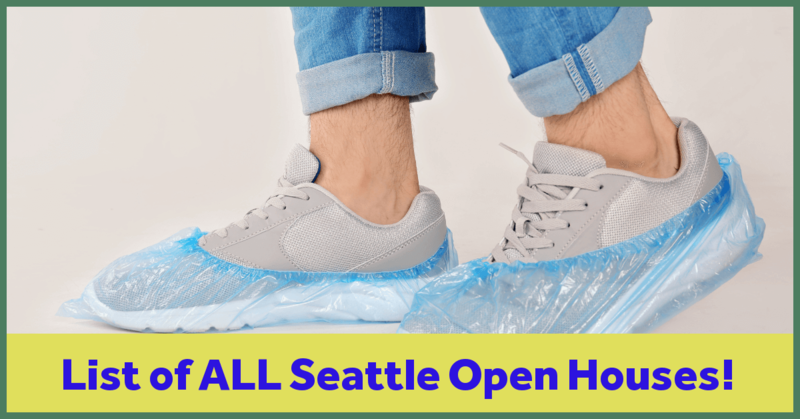 Quick tip: if you hate trying to get those annoying shoe covers on over your shoes at open houses (who doesn't! ), then get yourself a pair of slip-on shoes that you can easily pop off at the front door and then just walk around the open house in your comfy socks. IMPORTANT! Don't forget that Seattle open houses don't only take place on the weekend. Stay updated and informed with this list! Click on the REFINE RESULTS button below to modify the list to display homes that match your needs. For example, you can select the price range, the number of bedrooms and display only houses. Please contact Conor MacEvilly at RE/MAX on his cell at 206-349-8477 if you have any questions or would like to view any homes.